If you want to learn how to develop reliable, real-time embedded systems, then the very popular “Patterns for Time-Triggered Embedded Systems” book is a great place to start. At more than 1000 pages, this isn’t a small book – however, it does provide comprehensive guidance on the development of first-generation “Time Triggered” (TT) embedded systems. In total, PTTES contains details of more than 70 useful “design patterns”, complete with guidelines to help you apply these techniques in your own projects: full source code for all of the patterns is also included. 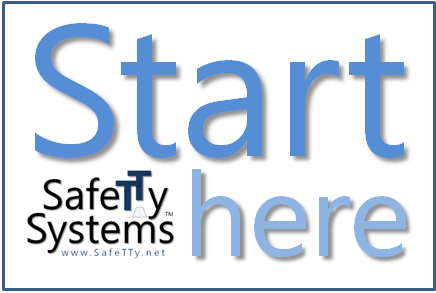 Following an agreement with the original publishers, PTTES is now distributed by SafeTTy Systems. You can download the complete book (PDF file) here. You can also download the C example files (zipped) here. The PTTES code examples are released without warranty (details in the zipped file). The PTTES code examples were written to match the C51 (8051 compiler) from Keil. Under an agreement with Keil, an evaluation version of the C51 compiler was distributed with the book: we cannot distribute this compiler (sorry). The code should work with current versions of the C51 compiler (but we have not tested this). Other compilers for the 8051 are also available: for example, the SDCC compiler is available without charge. A port of all PTTES code to SDCC compiler is available (contributed by Manish Shakya): please note that – while we believe this port is complete and working – we have not tested this code. The code and designs in the PTTES book are intended (only) to demonstrate the use of some simple Time-Triggered system architectures. THIS CODE IS PROVIDED “AS IS” WITHOUT ANY WARRANTY AS TO ITS SUITABILITY FOR ANY PURPOSE. This code may be used without charge: [i] by universities and colleges in courses for which a degree up to and including MSc level (or equivalent) is awarded; [ii] for non-commercial projects carried out by individuals and hobbyists. We do not permit this code to be used for any other purpose. We can provide alternative code libraries and products that are suitable for use in a range of production systems. You may wish to consider our ‘ERES2’ book and related code examples as a starting point. We receive many enquiries from people who are looking for information about the development of software for safe / reliable / secure embedded systems. Some of these enquiries come from people who are about to join our TTb training course, from professional programmers who are about to develop their first safety-related embedded system, and from students at different universities and colleges around the world. In response, we’ve created an ‘5-step guide‘ for people who want to learn how to program reliable, real-time embedded systems. Starting from scratch, the material presented in this guide proceeds to a level at which we discuss the development of safety-related embedded systems (up to approximately ‘SIL 2’ level and equivalent). The guide includes links to our free introductory training course on “Embedded C”, which is distributed via YouTube®. 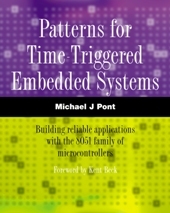 Written approximately 20 years after ‘PTTES’, the Second Edition of ‘The Engineering of Reliable Embedded Systems’ (ERES2), documents an industry-proven approach to the development of software for reliable, real-time embedded systems, based on the use of second-generation ‘Time Triggered’ (TT) architectures. The above characteristics mean that appropriately-implemented TT systems provide a particularly effective means of meeting the requirements of various international safety standards. Pont, M.J. (2017) “The Engineering of Reliable Embedded Systems: Developing firmware in compliance with IEC 61508, ISO 26262 and related functional-safety standards using Time-Triggered architectures”, (Second Edition) SafeTTy Systems. ISBN: 978-0-9930355-5-5. The Indian edition of ‘ERES2’ is currently available (only) from Pothi.com at a cost of Rs. 525 (plus delivery).